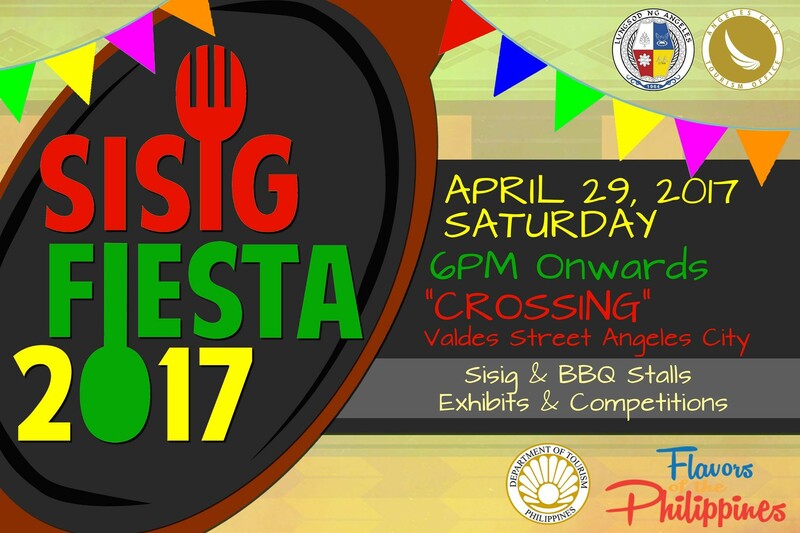 SISIG FIESTA 2017 – The Angeles City, Philippines Tourism Office is once again organizing the SISIG FIESTA this April 29, 2017; this is in line with the Department of Tourism’s Flavors of the Philippines Campaign. The Sisig Fiesta recognizes sisig as a true Angeleño heritage. From its humble roots in Crossing, Angeles, its fame spread to Manila, the rest of the country and has reached international level. This year the festivities will be held in the place where it all began, at the “Crossing” thus bringing back that nostalgic effect to the locals. This year’s Sisig Fiesta will be a one-day event that will line up a Sisig sampler banquet, Sisig and BBQ stalls, cooking demonstrations with celebrity chefs, and showcase Angeleño talent when it comes to cooking through culinary competitions. The event will also be enjoyed by many through live bands, dancing, and night market.